I would never call [it] beautiful or comfortable or consoling. But there’s something about it that you can’t turn away from. But Jerusalem is beautiful, comfortable and often even consoling in the eyes of thousands of Americans, Jew and Gentile, who have crossed much more than the Atlantic to inhabit the Land. Especially at Thanksgiving. Because it’s our day. Thanksgiving, the uniquely American holiday, is perhaps our only pursuit in Israel upon which daily struggles with language, impatience and the abundant contradictions of this place pale to insignificance. Why this is so is not complex. At Thanksgiving, we just don’t care. For reasons not quite clear we go about more self-assured, doggedly committed to ferreting out cranberries and unbothered about what our neighbors think. We order turkeys of indeterminate size—request any weight you like, the bird you get will tip the scales between 15 and 18 pounds—and congregate to celebrate our special day with friends. As we have every year since our arrival, we ordered our eighth turkey this November from Shoshani brothers butchers on Emek Refaim in Jerusalem’s German Colony. To complete our first turkey purchase, I walked there from our place in Rechavia, not quite a mile from their shop, two round trips up and downhill, nearly four miles in all, once to place the order, the second to lug back the bird. In 2011 I asked for a 12-pounder (in kilos). The bird Shoshani provided weighed nearly 18. It’s an Israeli thing. We had to force our little oven door closed to bake the monster, literally pushing it inside after skewing the drumsticks left. “Why?” Debbie asked (perhaps a better question than I first thought). Like so many others, my attempted explanation (in Hebrew) failed. Debbie shrugged and walked away. This year, two Novembers passed, while Debbie stood chatting with a friend downstairs at our place, she noticed me bringing extra guest chairs upstairs for our big day. Again, she asked, why? “It’s the day of the turkey,” I told her. This time Debbie smiled, nodded knowingly, tucked her thumbs into her armpits, turned to her friend and flapped her arms (like turkey wings!) while emitting guttural, Middle Eastern gobble sounds. Interestingly, the Hebrew word, הודו (ho-doo), can be the place name, “India,” the noun, “turkey” or the imperative verb, “give thanks.” Eight friends assembled to give thanks in our little apartment in Givat Massuah this November, six Americans and two Hollanders. Turkey, salmon, fresh baked bread, Israeli wine, sweet potatoes, the ever-elusive cranberries, conversation… And foremost among those things for which we were most thankful, though thousands of miles from our places of birth, was the privilege of living in this Land, from which, for some of us, as Pico Iyer said, it’s impossible to turn away. Since the holiday Thanksgiving is uniquely Christian, although Americanized. 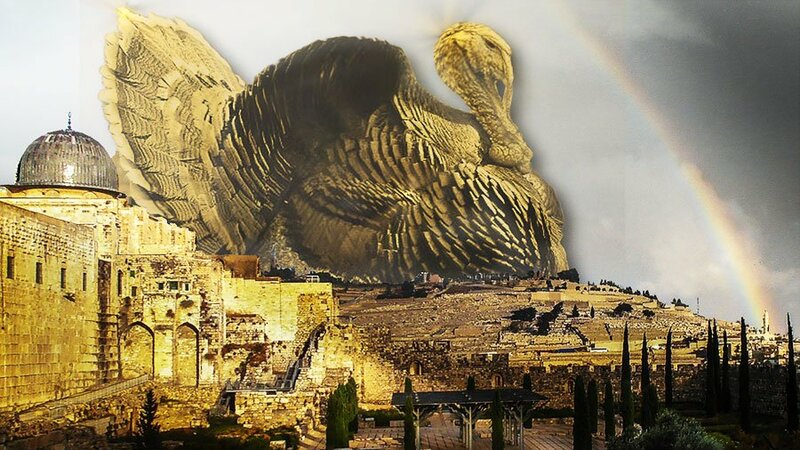 The true meaning and understanding of its significance has left the minds of many who celebrate “Turkey Day”. “Oh give thanks” is a much needed mandate every day we celebrate the goodness of God and the many good gifts He bestows upon all! Beautifully written, taking me from tears to laughing out loud, presenting a window to peer into and catch a glimpse of your life in the land of Israel. Thank you, Cliff. I am thankful for Marcia and you!